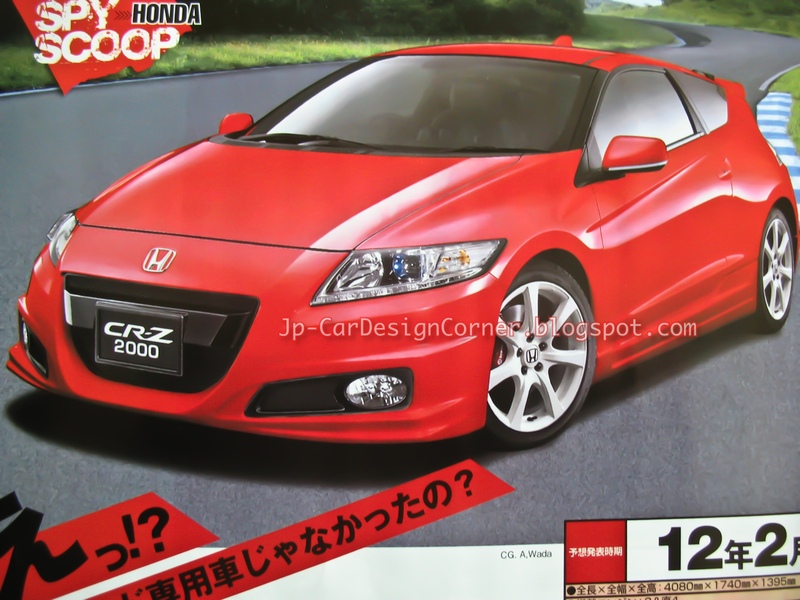 日本自動車デザインコーナー 「Japanese Car Design Corner」: Latest report about spicy Honda CR-Z!!! We know that Honda is working on a spicy CR-Z (earlier post) and this time, another report confirms that it will use a 2.0L NA engine. The power output claimed now is 190 ps and it is unclear whether it will be badged as Type R, or it will be given a different name such as CR-Z 2000. In any case, it is expected to be introduced in February 2012. CR-Z 2000? Sounds pretty bad, CR-Z Type R is go.